Location description: This is in the centre of Stavanger, beside the main harbour (vaagen). It is even on Stavanger Travel's navigation bar! 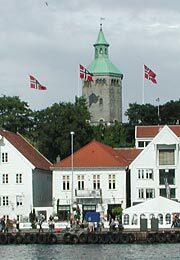 Directions: The restaurant is on Skagen, that runs along the eastern side of the main harbour (vaagen).